We will recognise and engage with Indigenous people as the traditional custodians of our land (UWA 2020 Vision). UWA recognises that engagement with the Indigenous community begins with recognising the traditional owners and custodians of the land on which UWA's main campus is located, the Whadjuk Noongar people, as well as the broader Noongar community of the South West region of WA. 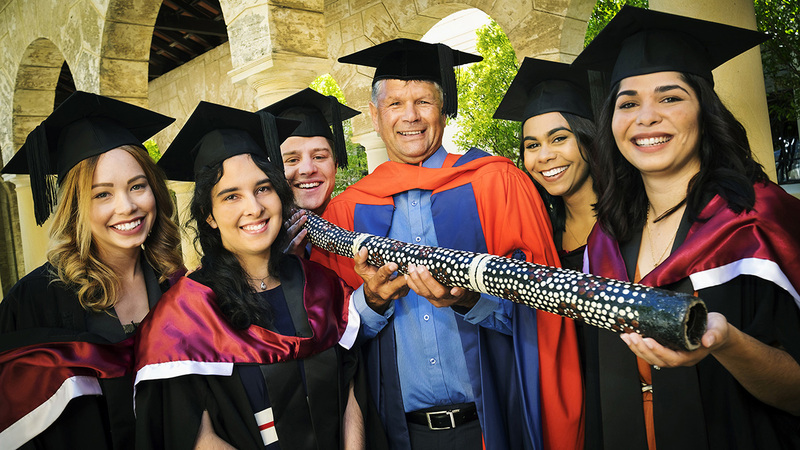 In regional areas, the University applies the same principles and protocols working in partnership with relevant local Aboriginal communities to develop and deliver its programs. The School of Indigenous Studies actively develops and maintains positive community relations for the benefit of the whole University. The School has developed excellent partnerships with industry, government and educational providers to establish scholarships, to deliver student outreach efforts, support programs and employment opportunities, and to advocate for Indigenous education at all levels.